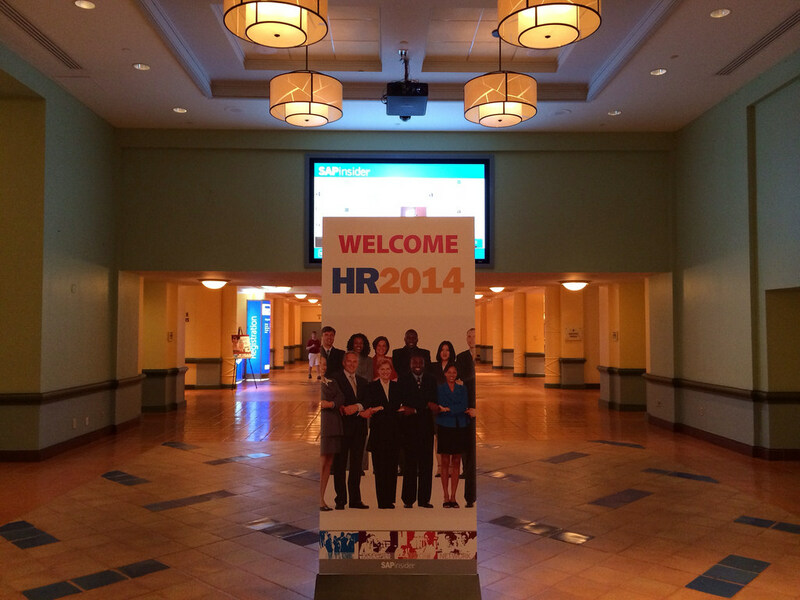 HR2014 was a delight, and the days went way too quickly to catch all the great content! It was obvious from the start that SuccessFactors was going to take center stage, and all attending had the opportunity to learn in great detail. We learned from David Ludlow that SuccessFactors and SAP ECC has an ever-growing amount of new and stable virtual integration. If you missed the keynote, you can catch it on demand at SAPInsider. I had great conversations throughout the days and evenings about when and where SF fits, and insights to pain points about functionality that isn’t quite where where it needs to be. The next couple of years will continue to be exciting as new functionality continues to roll out, and integration and stability make those rollouts less difficult. Based on the discussions I had during the conference, many companies are waiting for SAP to work out the kinks and add functionality they view as missing, such as benefits and time management. Many attendees are looking to maximize their existing SAP investment by identifying methods streamline processes, adding functionality, and reducing ongoing support costs. While some of the methods will change for companies moving to SuccessFactors, the majority will remain since the underlying technology of EC Payroll is SAP Payroll. SAPInsider and Allison Martin put on another great conference, and I’m looking forward to HR2015! Those of you who attended have access to all the session materials through the SAPInsider website. Setting aside time to look at sessions you could not attend is well worth the effort and the knowledge you will gain. The session materials will make great references as a refresher or when you embark on something new. You should also watch the SAPInsider HR channel because several focus sessions were video recorded and will be placed on the channel over the coming weeks. Steve Bogner, Brigid Sternberg, and I participated in a discussion about payroll and I think you’ll find it helpful and informative. And if you’d like to learn more about how ICG’s SAP HCM solutions, or how we can help your entire business–HR included–run more efficiently, let us know on Twitter or LinkedIn–we’d love to hear from you and would be more than happy to answer any questions you may have.